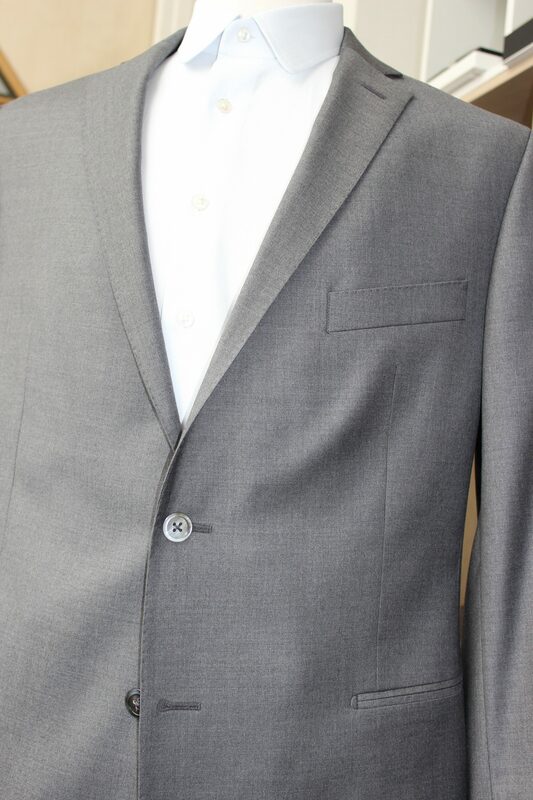 From 915 euros for a made to measure suit then from 1480 for a bespoke suit. 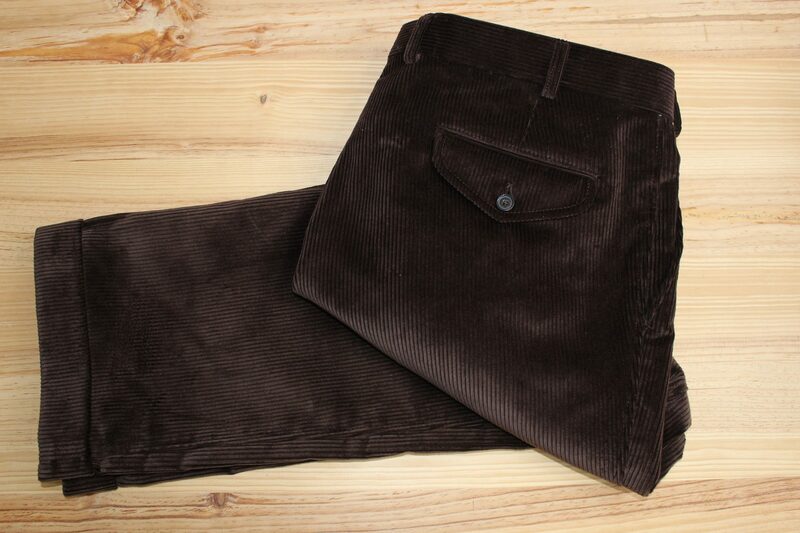 In the superior range, you will profit of exceptional fabrics from Houses Loro Piana or Holland & Sherry. 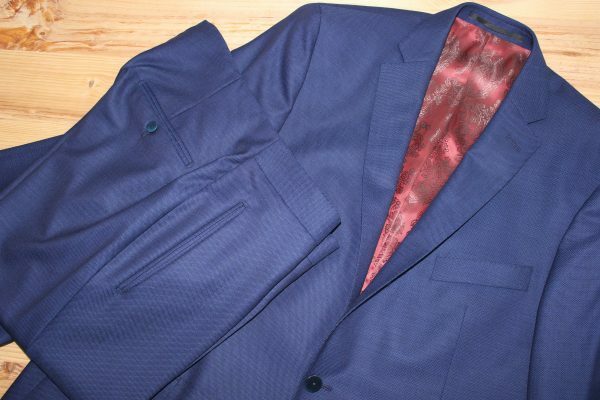 Atelier Clotilde Ranno’s bespoke blue suit was realized for a special demand: our client wanted us to create a sober suit but still original. Our designer directly thought about the lining option. Indeed, once worn the suit seems really distinguished. 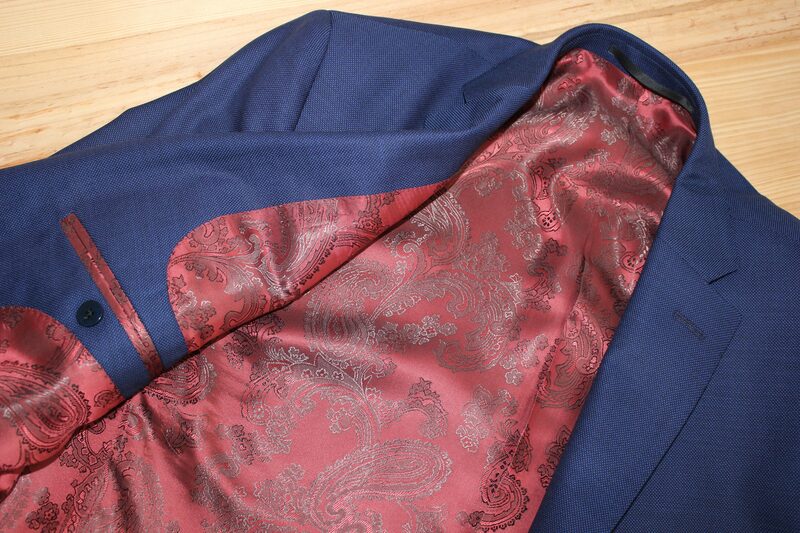 However, its colorful lining gives originality to the veste: but only its owner knows it. 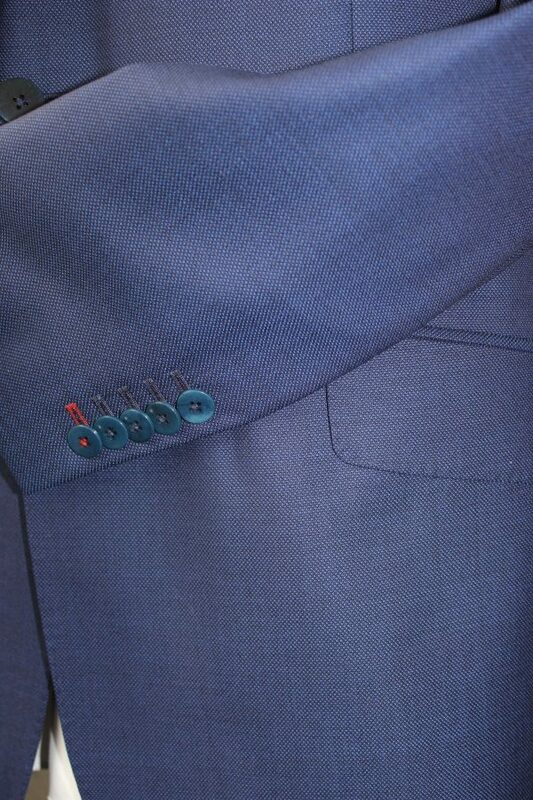 A bespoke blue suit stays, whatever its lining, a classic suit. 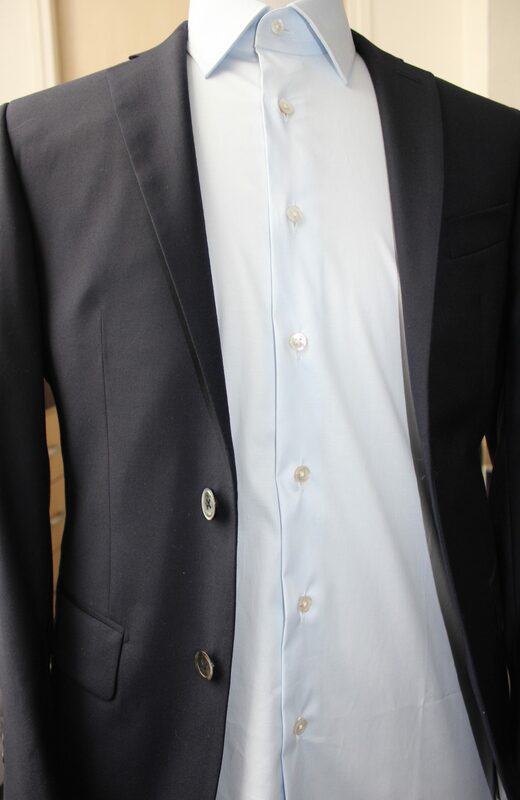 As we explained in our article on the bespoke blue shirt, blue is a color easy to wear. 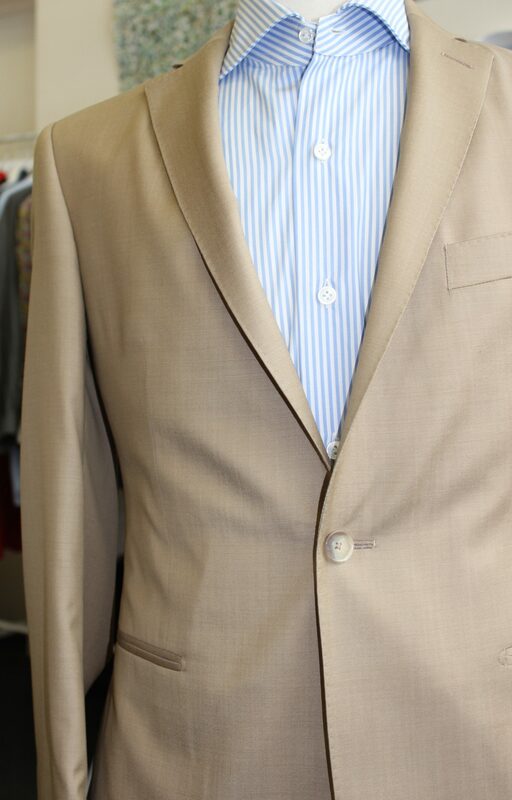 If you want to wear a blue shirt under your bespoke blue suit, make sure to always choose a shade lighter: a bespoke light blue shirt for example. You like blue? 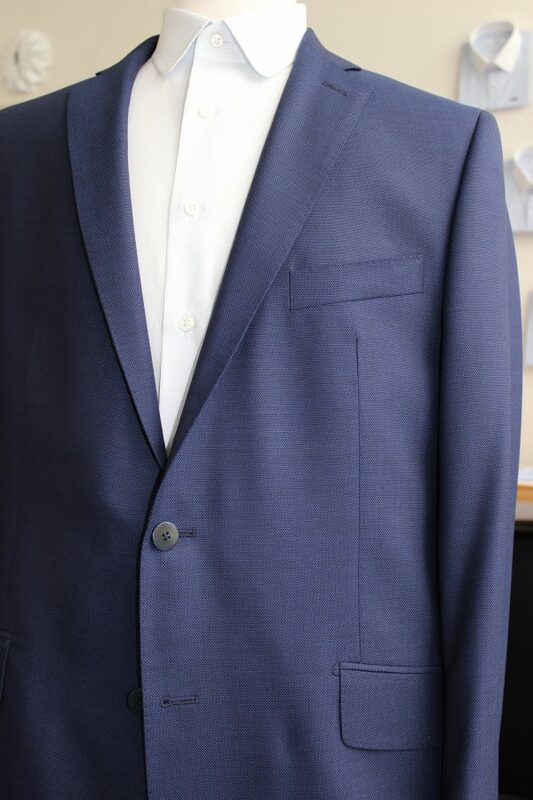 Discover our bespoke navy blue suit. Wash cold only. We recommend that you choose a qualitative dry cleaner: preferably a luxury one or an environment friendly one.